Opening your very own small business may affect you in a very personal way. After all, the business was an idea that you created and nurtured from the first step to the last. It was a dream that you saw through. So, it's only natural to wear your heart on your sleeve. 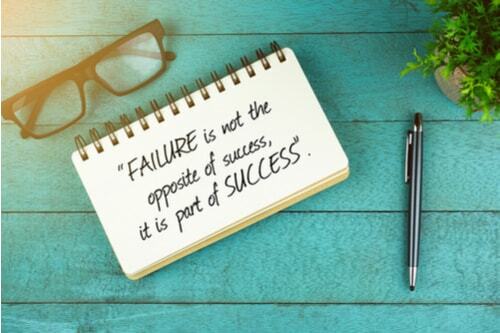 But do you think of the successes (and failures) in business as your own as well? 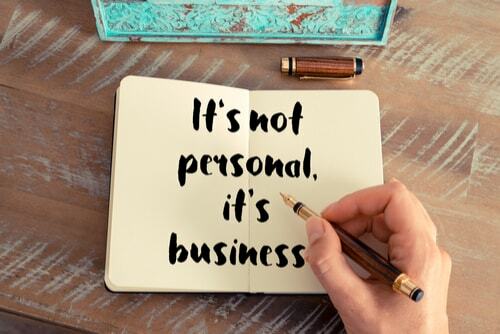 Separating your personal feelings from business is important. The tendency to take things personally can cloud your judgement, which leaves room for error. Being overly emotional in business can also prevent you from taking action when needed when it comes to making hard decisions. While it may be next to impossible to turn off your emotions completely, finding a balance between life and business is vital to success. As the owner of a business, you may feel enamored with the business you have built, but that does not mean that others will feel the same. Investors, customers, employees, and even family members, that were not involved in the creative process will never feel the same passion that you do. Others may feel joy that they were a part of the growth process, but for them, it isn’t personal. For you, the person that has nursed your business idea from just a thought into an operation, will always care more. The most important lesson to learn in business, is that sometimes no matter how much time and effort you put in, failure is a possibility you must always account for. In business, it isn’t just about how hard you try - there are different variables to consider in your industry. That could mean anything from the economy to what is the current trend. It can sometimes just be about selling the right product or service at the right time and place. Just about every business in every industry experiences their fair share of profit and loss. There are many peaks and valleys that you will travel on your journey. 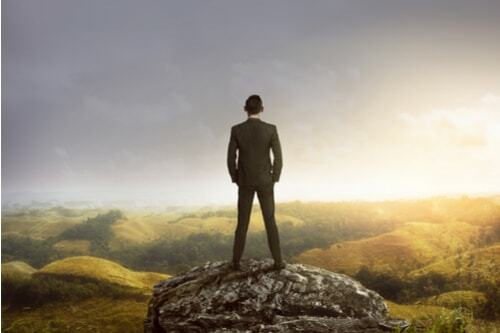 Preparing for the inevitable is a great way to stay on top of your game. There may be days that are harder than others, days that you break even, and then those days that make owning a business worth it. Look out for those extraordinary days! Try to keep in mind that, with a business, obstacles are just the nature of the beast. It isn't a personal attack. Take the pitfalls that may come and roll with them by using the working capital that you have available to make necessary changes. If you do not have any capital to invest in your business, then consider a merchant funding solution to grow your business. If there is an area of your business that needs improvement, don’t be scared to take a leap. Trust yourself and move forward.